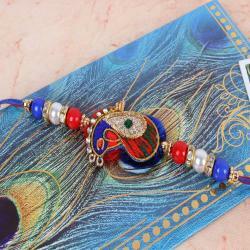 Tie this delicate Rakhi thread on your brother's wrist this will gave an amazed look and then see the magic of Rakshabandhan come alive. This is the most important day for a brother and a sister to show their love, respect and care for each other. 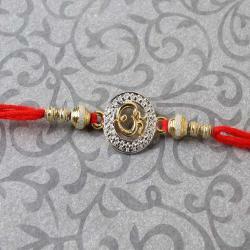 Holi is colorful, diwali is lightful and brightful but raksha bandhan makes the relation more powerful, so make this rakhsha bandhan more powerful with your brother and send this rakhi from giftacrossindia.com. 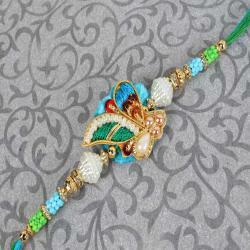 This fabulous rakhi which will look wow on your brothers wrist. 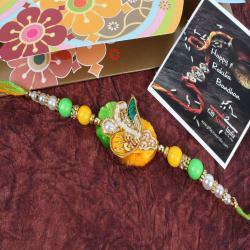 So hurry up and select your best rakhi for your brother. 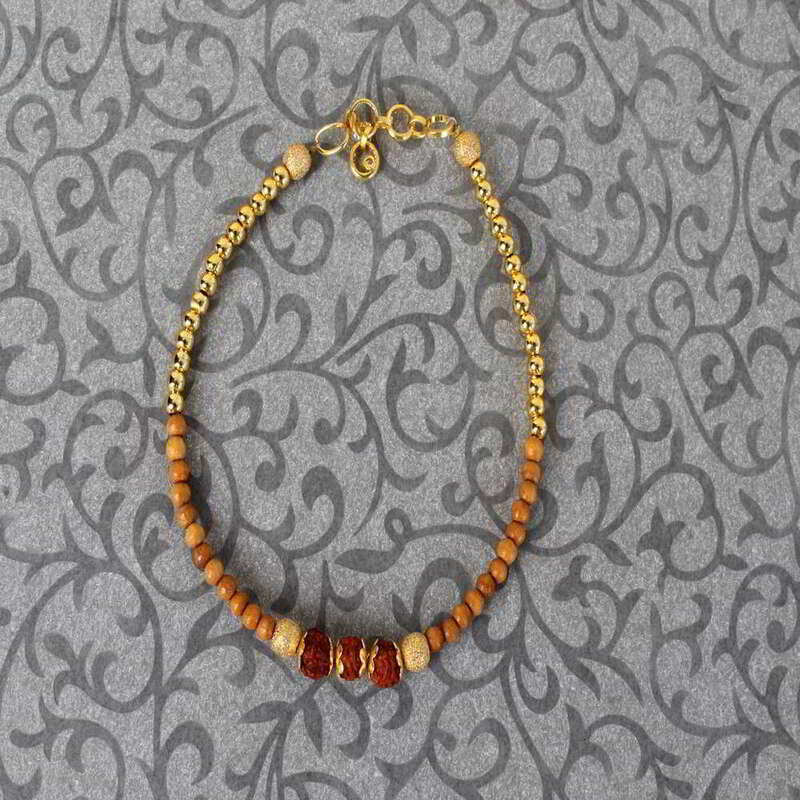 Product Includes: Wooden Bracelet Rakhi in a Gift Box.